A Venmo home screen. Venmo is now an acceptable payment method for A-Status organizations’ events. Students looking to catch a Friday night student production no longer need to worry about paying cash at the door — they can just use Venmo. Venmo, a mobile payment service popular among Northwestern students, is now an accepted at-the-door payment for certain student organization events, the result of a collaboration between Associated Student Government and the Student Organization Finance Office. As of last week, A-status finance groups can now collect payments from students through an official University Venmo account, said Isabel Dobbel, ASG vice president for A-status finance. The move, she said, is meant to make payments easier for students and improve record-keeping between student groups and SOFO. The account transfers funds directly to the Student Organization Finance Office, which provides banking services and financial education to student groups. The groups can then collect revenue from the office after the event, according to a November news release. Student groups have been known to use members’ personal Venmo accounts to supplement cash and credit card transactions in the past, Dobbel said, but these payments proved difficult for student groups and SOFO to monitor. Dobbel said using the University Venmo account as opposed to individual student accounts is a “cleaner” and more practical way for organizations to use the app. 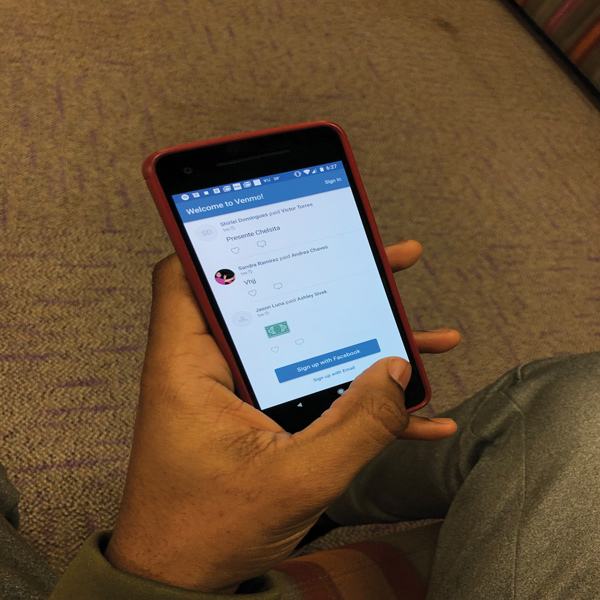 To use the Venmo account, groups will have to fill out a form on Wildcat Connection, the University’s student organization directory, roughly 24 hours prior to accepting payments on Venmo. The transaction “line” will be open one hour prior to each event and extend one hour past the start of the event, according to the release. Northwestern University Dance Marathon is the first student group to have used the University Venmo account account. Seven students used the service to pay a $5 entrance fee to an off-campus trivia event earlier this month, said Lindsey Waxman, the finance co-chair of NUDM. Most students, Waxman said, brought cash to the trivia event, but added that NUDM plans to increase usage of Venmo in the future. The Venmo account is the result of a more than eight-month long process that began with ASG’s April 2018 establishment of an ad-hoc committee to research Venmo usage. Since then, Dobbel has collaborated with SOFO and ASG to bring the program to fruition. And while NUDM is currently the only student group to have used the University Venmo account, both Arts Alliance and Refresh Dance Crew plan to use the platform to collect payments in the coming weeks, Dobbel said. Winter will serve as a “pilot quarter” for the program before it expands to more University-funded student groups, according to an ASG news release.